Welcome to our web site! Our farm is engaged in the production of succulent seed-plants. 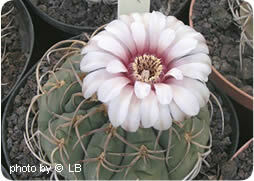 We are specialised in Gymnocalycium and Lithops and we have a wide assortment of Caudiciformi seed-plants. We offer plants both to the lovers and to the most attentive collectors. Please discover who we are or visit the section dedicated to our catalogue.